On 1 December 2011, Egypt Independent, a printed paper produced by Al Masry Al Youm’s English section was censored. Over 20,000 copies were pulled from the market upon the request of Magdy El Gallad, the editor of the Arabic version of Al Masry Al Youm. El Gallad asked that an article by Robert Springborg be revised. The article was entitled, ‘Is Tantawi reading the public’s pulse correctly?’. 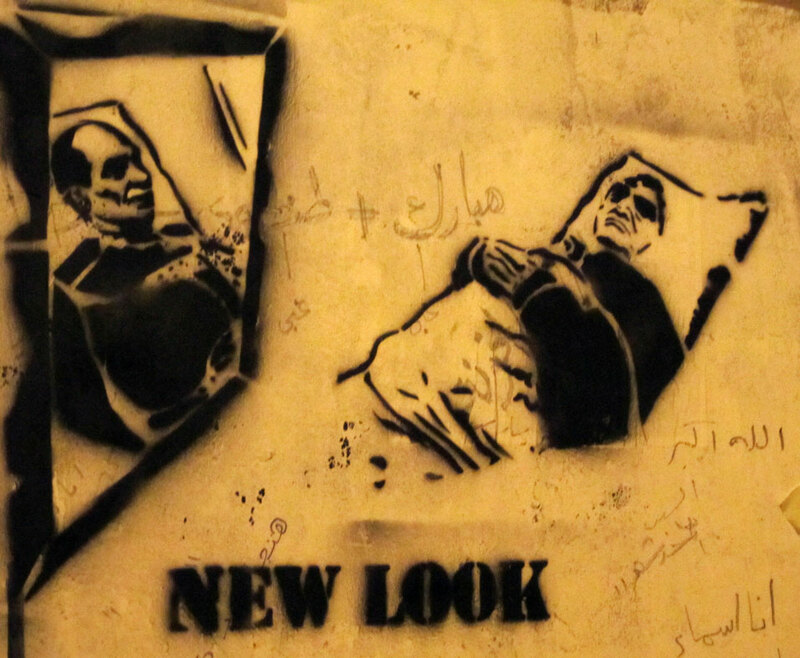 The Egypt Independent crew opposed this censorship. Alistair Beach wrote an article in the Independent criticizing this form of censorship entitled ‘Censorship row fuels public's fears over Egyptian election'. Magdy El Gallad accused Beach of having a foreign agenda. Robert Springborg exposed El Gallad in Foreign Policy with his article entitled, ‘What Egypt’s Military Doesn’t Want Its Citizens to Know’. In response, Magdy El Gallad wrote a piece defending himself. This is word for word translation, and this is a more accurate translation that captures the true spirit of the piece. The revised article was published in Al Masry Al Youm’s English edition but the uncensored version never made it officially. Through a bootlegged copy, for your reading pleasure, find below in quotes the part that was censored internally by Al Masry Al Youm’s Magdy El Gallad. Is Tantawi reading the public’s pulse correctly? In his speech to the nation on 22 November, Field Marshal Hussein Tantawi, almost as an aside, announced that the Supreme Council of the Armed Forces (SCAF) was prepared to hold a referendum on the issue of the military turning power over to civilians. This was intended as a threat to his civilian challengers. Reported to be a keen follower of public opinion polls, the Field Marshal and his advisers no doubt calculated that in any such referendum, the majority of voters would support military over civilian rule. By seeking to retain power and control over the transition process, the Field Marshal is playing a very dangerous game that threatens both the military’s and the nation’s well-being. He should have another look at that polling data. This is a proportional list seat calculation using the largest remainder method. This calculates how list seats are allocated in Egypt's 2011 elections. Enter the number of seats in contention in the desired district, enter the number of votes for each list and then press calculate to see the number of seats won. Limitations This does not implement the nationwide constraint of 0.5%. Results may not be accurate when the exact same number of votes are entered. Disclaimer: This is an unofficial list seat calculator. The official results should be the same however this software has not been fully tested and there may be some discrepancy with the final results due to the aforementioned limitations. I mentioned earlier that these parliamentary elections were illegitimate. All that led us to these elections has been illegitimate and in any case, the upcoming parliament will be crippled. The parliament has no constitutional powers and will end up either being impotent or an arm of the SCAF. The true catastrophe isn’t that they’re not legitimate but that even if they were, they would not be free and fair. There are many reasons why the current elections violate the criteria for ‘free and fair’. I will try pointing out a few. No fair elections can take place with a corrupt media that solely serves regime interests. This means that the regime will always interfere in what is available to the public and the media will be mobilized by the regime’s covert deals. This means elections are not free since some parties are targeted and not fair since some are ignored. When the police force is at the full force of its brutality just before elections, it creates an atmosphere that is not conducive to elections. Yet at the same time, this brutal police force kept the peace just for elections to take place. 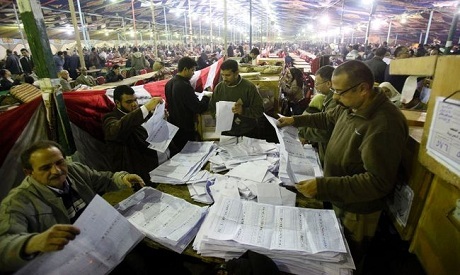 Egyptians were never consulted as to how elections should be carried out. The decisions were always dictated by the SCAF. It is ironic that the laws that should bring about respect for the people disregarded and in some cases disrespected people’s will. The laws themselves have been disrespected. A party like El Nour should not have been allowed to form because no parties based on religion should have been formed. That one party should be exempted is not fair. On what basis was the distribution of districts? Analyst have attributed this to the SCAF’s bias that some parties win. Even state owned Akhbar Al Youm’s Mohamed Omar pointed out that these districts were to appease the Islamists. There is a limit to how much should be spent on a campaign that clearly has not been observed. There is a lot of funding from Saudi Arabia and from Qatar to fund the Muslim Brotherhood and the Salafis. When hundreds of millions of dollars are poured into campaigns the chances of fair elections are not that high. Such funding is not looked into at all while all funding to NGOs for example is strictly monitored. Such double standards tear down the concept of fairness completely. Each of these alone is enough to cast doubt on fairness. The lack of information means that the elections mean nothing. How can one choose a representative when they don’t know their choices? The lack of information combined with campaigning outside the poll stations is probably the most monumental problem with these elections, particularly with the 500 LE fine. Although it looks like a landslide victory that doesn’t change the result, the truth is far from it. Contrary to some opinions a few thousand votes could change the results in the list system. 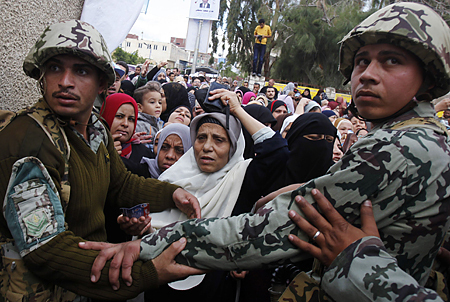 The violations are an indication to the kind of elections Egypt is undertaking. The results are secondary. This may seem inconsequential, but when 12,000 people are tried by military courts mostly protesters, and when activists are targeted by the regime, the elections become neither free nor fair. It’s not only that the votes of those in prison have been detracted, but to insist that activists are harassed means chopping off an arm to alternate media and movements that could have been working on campaigning for elections. While we fight for those imprisoned, tortured and killed, other parties campaign for a place in an illegitimate parliament. There is a rebuttal for every one of these reasons. They are things like, this happens everywhere, this will not affect the final result, this is an exaggeration, etc… They can all be valid, but they’re very weak because they will be in denial of the true environment in which these elections are being held. We are being ruled by an illegitimate body that has disrespected our votes in a referendum earlier. No fairness exists in this body; no freedom is possible under this body. A junta that does not respect a human’s life will not respect his vote.